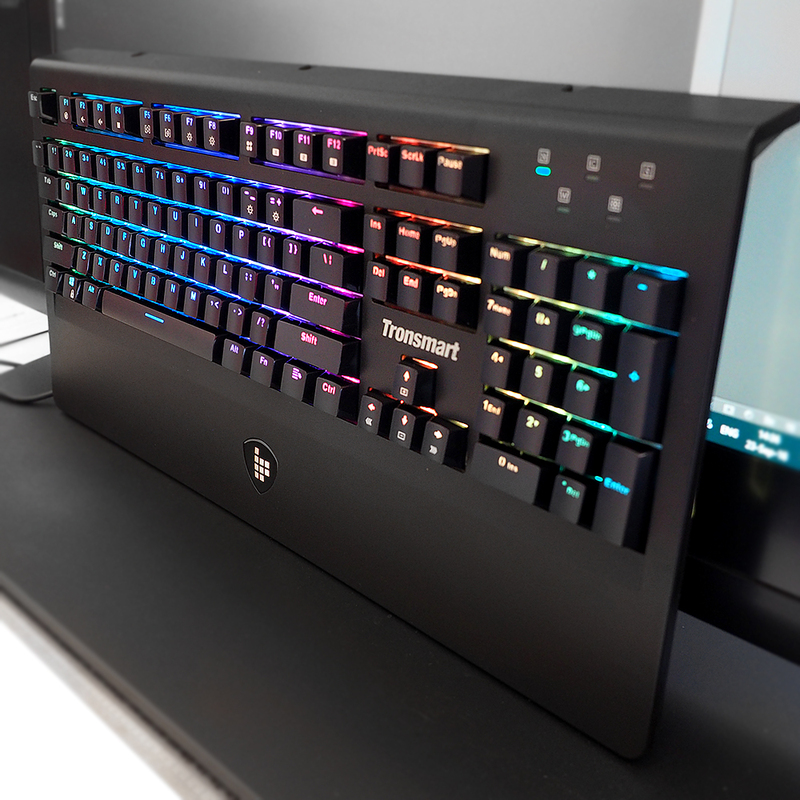 One of the most clean yet sofisticated looking mechanical keyboards on the market. 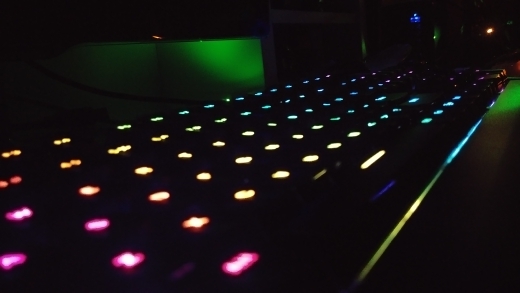 The Tronsmart TK09R features some unique things, like the beat driven lighting effect that moves with your music. 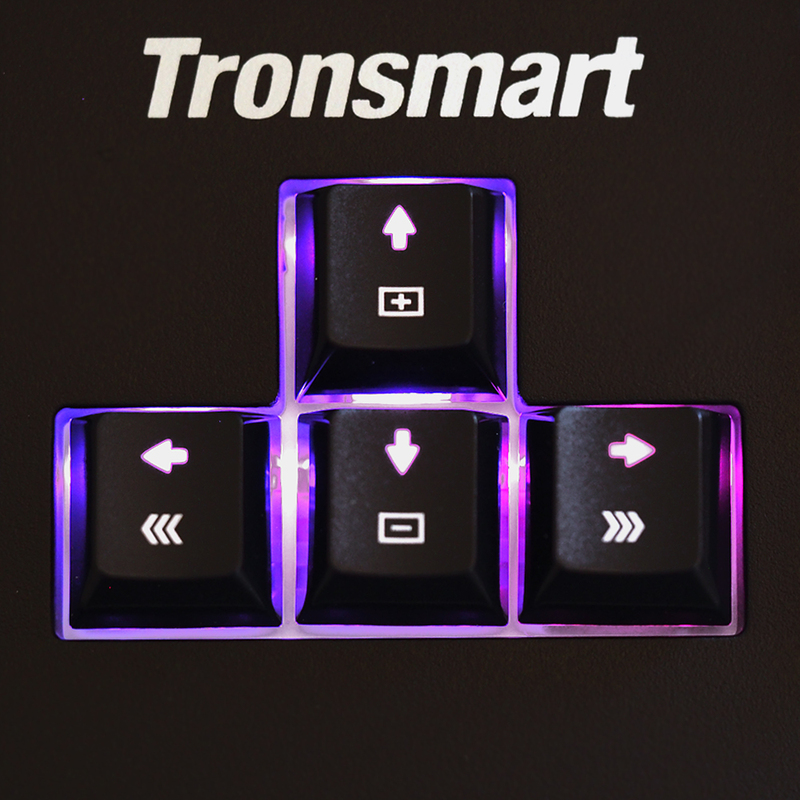 Just like all Tronsmart items the TK09R can be connected to Radiant*, a feature that syncs all lighting between Tronsmart products. The keyboard is awesome, I'm happy. 1. 16.8 million RBG colors that you can customize to your choice. 2. 10 LED effects. 3. All colors have dynamic lighting, amazing shades. 4. The speed of response to keystrokes is 1ms. 5. The keyboard has its own flash memory. 6. Excellent ergonomics. 7. Keys with additional functions. 8. Anti-Ghosting function. 9. 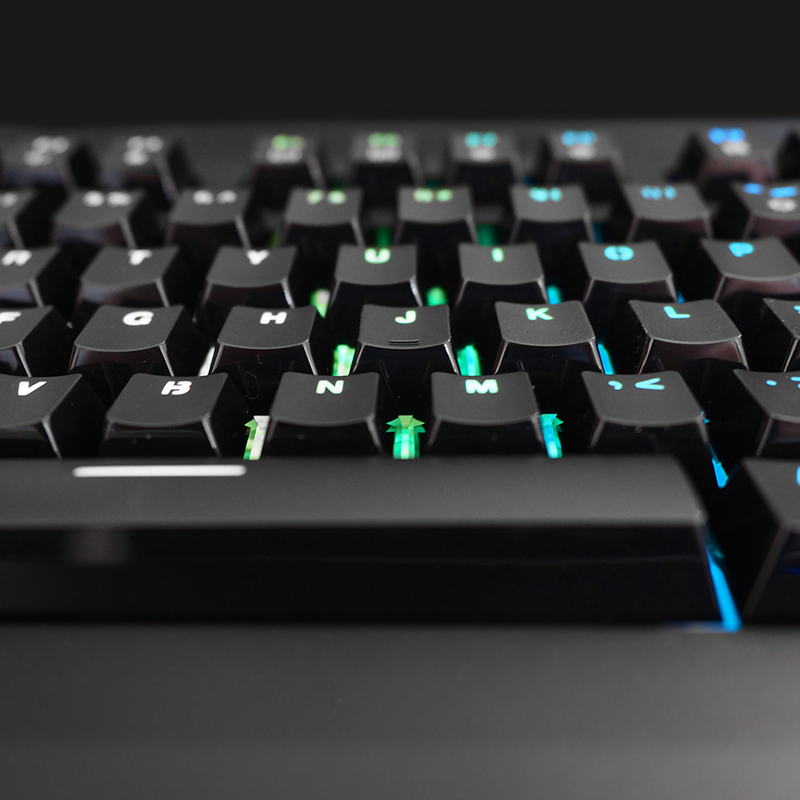 Mechanical switches Outemu Blue with a tactile and audible response to pressing. 10. 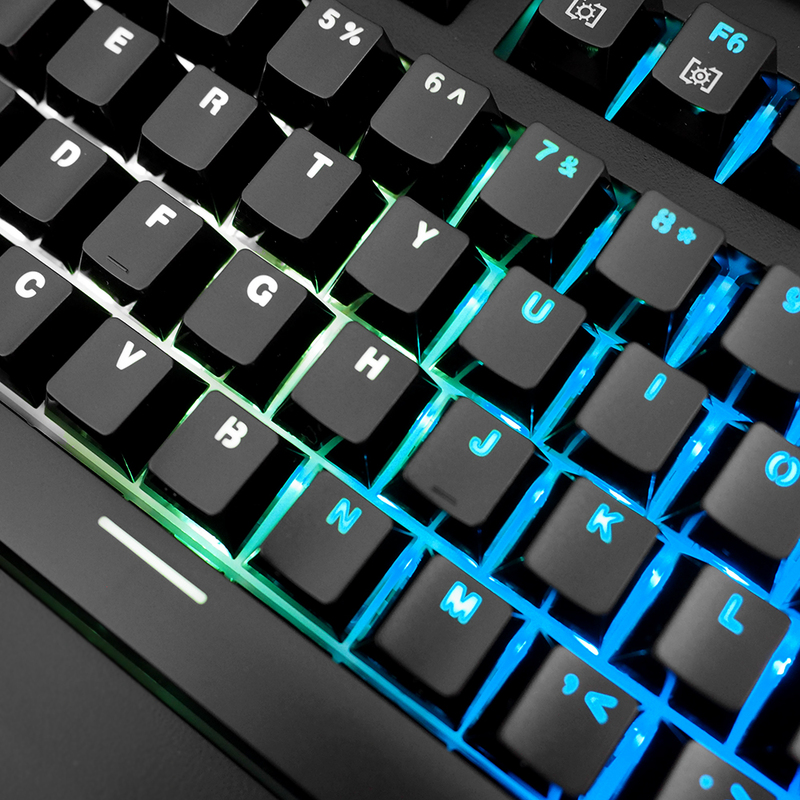 All keys are programmable and easy to set up. 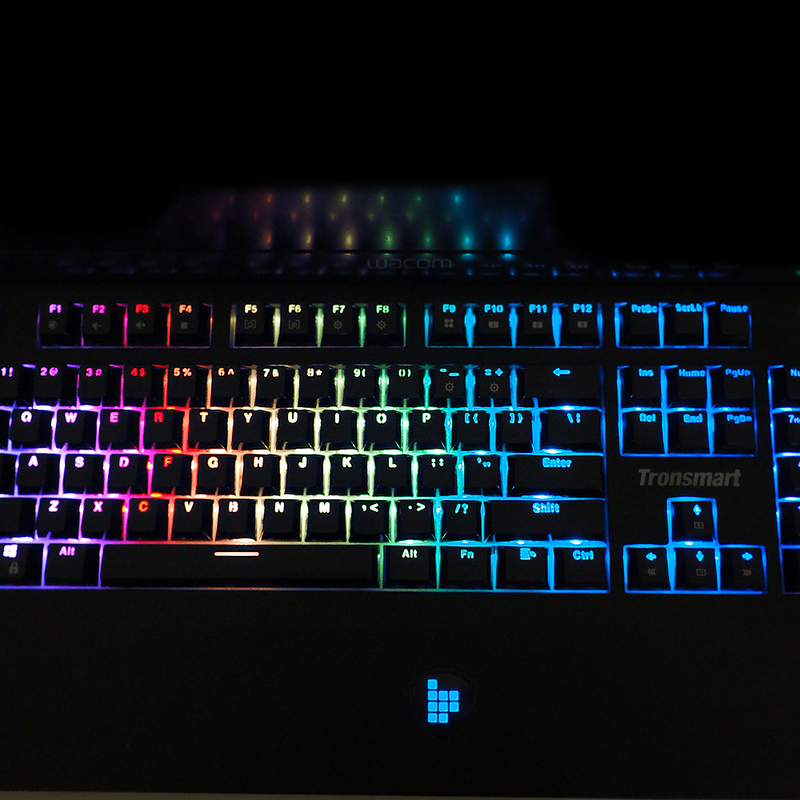 Keyboard backlight Tronsmart TK09R responds to sounds and music. Tronsmart TK09R is firmly fixed on the table and does not move during the game. Special ergonomic stand under the wrist reduces the load on it during long games. The whole construction is monolithic, very durable, high-quality, without flimsy and unreliable parts. The perfect thing for real gamers. 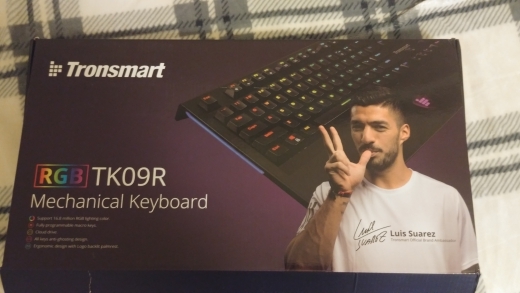 I am very pleased and recommend everyone to the keyboard and the seller !!! Very happy with fast arrival. 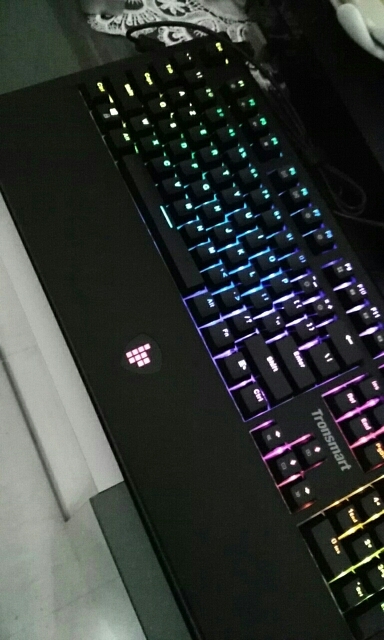 Love this keyboard, feels good when playing Steam games, very clicky. Even program to customize the lights, but I can't get music visualizer to work.